“Moonlight” star Naomie Harris will join Dwayne “The Rock” Johnson in New Line Cinema’s “Rampage,” an individual with knowledge of the project told TheWrap. Plot details are being kept under wraps, but the project is based on the 1980s video game of the same name. Ryan Engle wrote the original draft of the screenplay and Adam Sztykiel did the most recent revisions. Harris is hot off her Oscar nomination in the category Best Supporting Actress for her role in “Moonlight.” In total, the Barry Jenkins’ film received eight nominations. Brad Peyton is directing and producing the film, with Beau Flynn also producing. Johnson previously worked with Peyton and Flynn on “San Andreas” and “Journey 2: The Mysterious Island.” Peyton is producing through his ASAP Entertainment banner and Flynn is producing with John Rickard via his Wrigley Pictures banner. Hiram Garcia, Johnson’s partner on Seven Bucks Entertainment, is also producing. Marcus Viscidi, Jeff Fierson and Dany Garcia are serving as executive producers. She is represented by WME and Untitled Entertainment. “Rampage” is set for release on April 20, 2018. 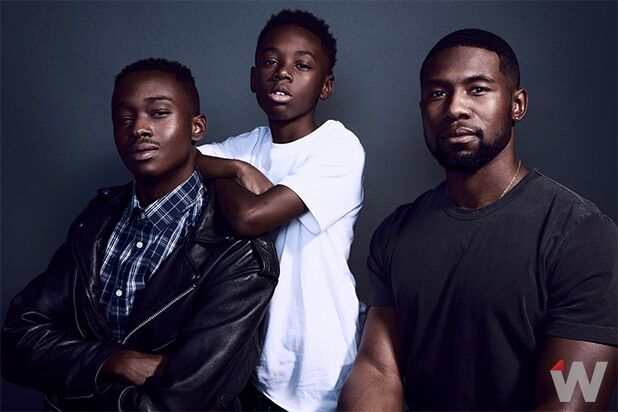 Actors Ashton Sanders, Alex Hibbert, Trevante Rhodes, "Moonlight"
Trevante Rhodes, Barry Jenkins, Ashton Sanders and Alex Hibbert, "Moonlight"
Back Row, Trevante Rhodes, Naomie Harris, Andre Holland, Ashton Sanders; front row, Mahershala Ali, director Barry Jenkins, Alex Hibbert of "Moonlight"